Pack of 50 A6/C6 ivory blank cards with matching envelopes. The cards are made from 250gsm smooth card and are ready scored for easy folding. 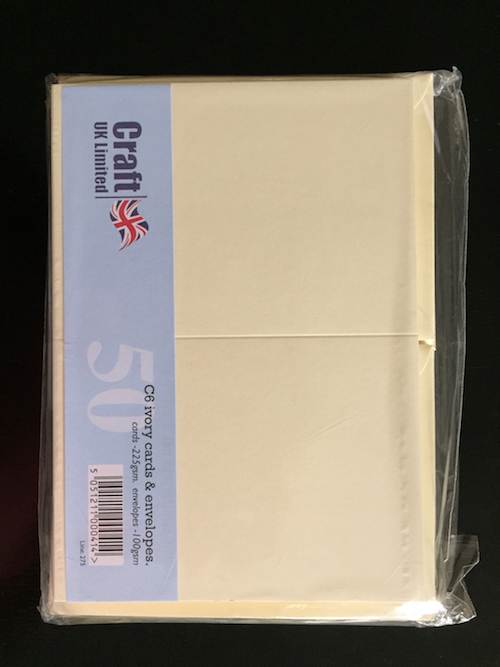 The envelopes are 100gsm, plain ivory. Card size: 10.5 x 15 cm (4.2 x 5.8 inches) when folded.